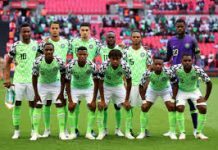 New arrival at Barcelona Women FC of Spain, Asisat Oshoala has vowed to give her very best with the team, as she is determined to make a huge mark and history with the club. 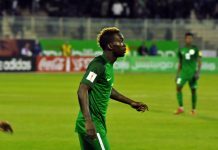 Speaking after her arrival from Dalian Quanjian of China, the 24-year-old Oshoala, who is on a loan deal till the end of the current season, said her target is to rain goals one by the dozen with The Catalans. 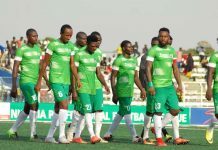 Footballive.ng reports that the former FC Robo Queens of Lagos and Rivers Angels of Port Harcourt start was all smile, after she inked a five-month contract that is expected to run until June 30. 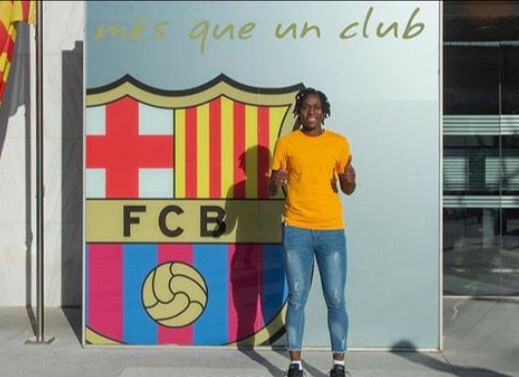 The three-time African Women Footballer of The Year landed early Thursday morning in Barcelona for medical checks and then signed the deal, under the keen eyes of club director, Maria Teixidor, and sports manager, Markel Zubizarreta. Oshoala, who has also played for Arsenal and Liverpool Ladies of England said: “This is obviously one of the best clubs in the world. “The team has a great history and wonderful football mentality. My goal is to strengthen the team and help them to win and make history. “I am excited about playing with Vicky Losada again. She’s a great midfielder, with a lot of energy and skill.